“Portrait of Akimova” was written by Valentin Serov in 1908. She is in the National Gallery of Armenia. The painting depicts a woman with a pale face and features of an Armenian type, Maria Nikolaevna Akimova (Akimyan). She had a very difficult fate: she got married and almost immediately became a widow – her husband, an avid gambler and mot, rushed into the water at night and drowned. Maria Nikolaevna remained in the clawed paws of lenders. And only after she got married the second time, she found her happiness, as it turned out, not long. In 1908, when Akimov posed for Serov, was just that period of happiness, when all her misadventures were already behind, But, unfortunately, Maria Nikolaevna had not much time to live – experiences led to illnesses, and they gradually broke it. Soon she died. Serov fully felt the difficult fate of his model. Picturesqueness, contrast – they talk about the fanatical dedication with which the artist worked on the portrait. By showing the public a picture at an exhibition in the Union of Artists, Serov amazed many of his contemporaries. All noted individuality, beautifully traced facial features, which reflect the fatigue of the soul, a kind of exhaustion. 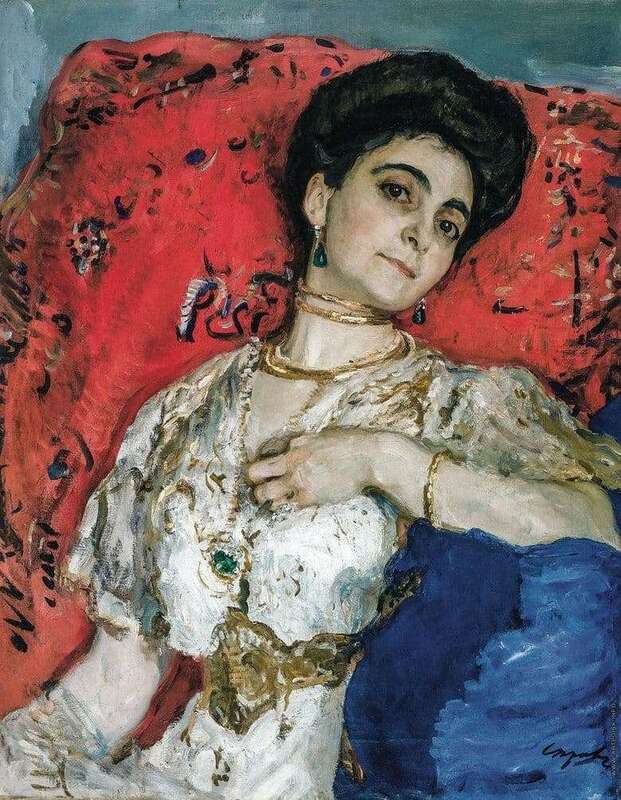 Many art critics agree that the “Portrait of Akimova” was written at the junction of two genres – this is no longer realism in its generally accepted meaning, but not impressionism with its twinkling and contrasts. Serov really went beyond the framework of styles – and therefore he wrote a masterpiece. He was followed by portraits of Martiros Saryan, Ida Rubinstein and many others. In art, there was a new time, the twentieth century, so rich in the currents of painting, was gaining momentum.